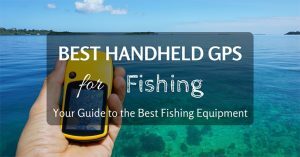 What is the best handheld GPS for fishing? Despite traditions and old school mentality that typically accompany fishing, there’s an increasing number of fishermen who are looking to find the best handheld GPS for fishing. If you find a spot on a lake or in a river that’s particularly fruitful, it’s natural to want to return. Unfortunately, the traditional methods of marking a spot often prove to be unreliable. Rather than manually timing out a number of strokes or attempting to keep your eyes on landmarks, having precise global positioning coordinates can allow you the guarantee you’ll always be able to find a honey hole a second time. Before you sink money into investing in a handheld GPS device, it’s important to do the research to make sure you’re getting the biggest bang for your buck. Below, you’ll find a guide to purchasing the best handheld GPS for fishing, and you’ll hopefully find the confidence to purchase a tool that could change your entire outdoor experience. Locating fish might be an art, but getting ahold of a little assistance won’t take away from that technique. Instead, you can be confident you’ll enhance it, and we can help you be sure that the best fish in your spot won’t be able to hide. 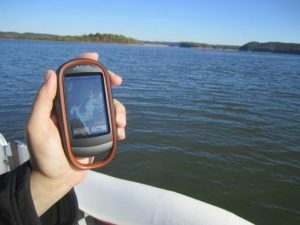 Why do you need a handheld GPS for fishing? Many people believe the tactics and techniques they’ve practiced for generations will continue to hold up. While that may be true, it’s also important to acknowledge some of the challenges of the changing landscape. Progress and civilization can cause some changes to bodies of water that might make it harder to identify a spot you’ve previously determined is great for fishing. It’s also important to make sure you don’t overfish an area and scare away your quarry. By having more precise knowledge of your coordinates, you can ensure you’re balancing your approach without unnecessarily disturbing the ecosystem. Responsible fishermen know they owe the environment a certain degree of differential treatment, and that includes making sure you’re treating spots with respect. GPS locations can also be useful in the event of an emergency. While no one goes out into the wilderness expecting to need to be rescued, making sure you can be found, if necessary is a responsible decision. A handheld GPS that transmits to a receiver for other people to access can be a great failsafe, but even if the coordinates are only stored locally, you may be able to send your location yourself. Even if you don’t need to be rescued, you might find yourself in unfamiliar or uncomfortable territory. Being Able to identify and avoid a spot can be a valuable step to make sure you stay safe in the future. Preparedness is the enemy of mistakes, and the first step in being prepared is being able to accomplish the simple task of knowing exactly where you are. One important step to make sure you’re purchasing the best handheld GPS for fishing is to side with a color display. While you may not need your GPS to provide you with ceaseless entertainment, it is important you can discern vital information at a glance. Some GPS systems contain depth information and terrain warnings in addition to specific locations, and those tools can help you be sure you’re fishing in a safe and legal area at a quick glance. Color displays are also more likely to adjust correctly to changes in light in an outdoor environment. Rather than allowing yourself to struggle to find shade to read grayscale, a color display can serve your needs even in challenging conditions. Color screens are also more likely to stand up to damage, as LED arrays are generally tougher than LCD technology. The size of the display may depend on the strength of your eyesight and other features which are important to you on your device. Most devices fluctuate between a two and three inch screen size, though a corresponding increase of resolution may mean that a larger screen displays smaller text. The best way to make sure your display is large enough for your needs, is to examine it in person before making a purchase. Check out a local supply store to get an idea of how the display of your GPS device will read when we put it in your hands. You should also take into consideration if you use corrective lenses. If you wear prescription sunglasses while fishing, wear them as you shop for a handheld GPS. That should help guarantee you’re duplicating usage conditions as closely as possible. One hesitation some people have about purchasing a handheld GPS is the risk of damage if the equipment is exposed to water. Making a significant financial investment isn’t always easy so it’s logical to want to ensure the tools you buy will be long lasting. Even if you manage to keep your GPS out of the water you’re fishing on, changing weather might occasionally be a concern. If you fish in an area where the weather fluctuates quickly or if you frequently find yourself out on the lake in the winter, precipitation is largely unavoidable. Knowing how to maintain your GPS to protect yourself from the elements is an important step in not only making sure it works correctly, but also ensures you’re not replacing your GPS too frequently. The water you’re fishing in can also make a difference. Open ocean fishing, for example, will expose your equipment to the corrosive risks of salt water. Determining if your GPS is manufactured to resist corrosion is an important step in prolonging its life. Typically this includes a full encasement of all the electronic components, as well as full protection for your handheld GPS’s battery compartment. Sea air can quickly degrade connections or damage chemical battery components, so the battery needs to be specially shielded to minimize risk. A properly waterproofed GPS will also have containment surrounding the display, as water leaking in under the cover of your screen can damage functionality and make the device difficult to read. Most handheld GPS devices designed for outdoor use are engineered to minimize these risks, but we can help understand the specific challenges of your environment. A GPS map is only as effective as your ability to read it. If the mapping system is confusing or non-intuitive, the generated raw coordinates may only cause further inconvenience. Some lower end models don’t include maps at all, but simply rely on identifying areas by longitude and latitude. If you’re familiar with the lay of the land and are comfortable charting your own path, these models may be sufficient for your needs and could save you some money upon purchasing. 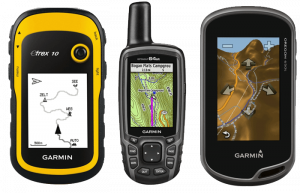 If you plan to invest in a handheld GPS, it’s ideal to enjoy the best possible return. In this case, look for a mapping system that’s consistently updated and guaranteed to provide the most timely information possible. The ability to update your maps through an over the air connection can help guarantee you never head out to fish without the latest information identifying your location. In some cases, you might have to connect your GPS to your computer to download the newest maps. Before making a purchase, check that your frequently fished areas are included in the published maps. As electronic devices go, a handheld GPS for fishing is generally among the least complicated devices available on the consumer market. Still, local information storage space is important to consider, especially as it interacts with your ability to mark locations. Locally stored maps on your device are more likely to be able to be manipulated, and you’ll be able to drop GPS pins that identify your specific fishing areas. This can help guarantee you’re able to navigate back as quickly and easily as possible. Connectivity is also vital for a wide span of electronic devices. While a handheld GPS for fishing won’t replace all of the functions served by a traditional tablet, internet connectivity is still important for updates and sharing. Otherwise, you’ll likely be able to connect your device to a PC with a USB connection. Perhaps, as an enthusiast of the great outdoors, you’re a person who is comfortable behind a computer, reach out to the customer support line after your purchase so you are familiar with the connectivity process. The design of each device is likely to differ enough that you’ll have to spend time understanding each feature. Once you’re used to how your GPS operates, you’ll be able to confidently operate it without much focus or confusion. If you’ve already purchased a GPS produced by a particular manufacturer, you may be best served to stay in that family for future devices. Familiarity helps shorten the learning curve and guarantee accurate usage as quickly as possible. If you’re purchasing your first handheld fishing GPS, we can provide the ability to try a variety of products from several different manufacturers before you determine which best suits your needs. Some people may be more comfortable with a GPS that is about the size and design of their cell phone. Others may prefer a more entry level model where the features are simpler to make your first experience as easy as possible. Your level of technological familiarity will play a part in determining which category you fall into. Be honest with your technical know how upon purchase. Different features affect the battery life of your handheld fishing GPS in different ways. High resolution color screens are likely to require more energy diverted to the display, and as a result, battery life may decrease. Conversely, you may be able to disconnect some communication features when they aren’t being used to extend the battery life. Make sure your device is fully charged before you head out on a fishing expedition. In the event of a worst case scenario, it’s vital your rescue isn’t foiled by a failing battery. The old-school methods of marking your fishing honeypot sometimes just don’t work, and you could use the best handheld GPS to remember your favorite spot. Keeping an eye on landmarks and imaginary points so you can orient yourself and come back to the same spot is not always possible. Rainy weather can change the shore or form mud that could possibly erase natural landmarks. For that reason, using the precise GPS coordinates is useful and enables you to hit the jackpot again. That is why we want to offer you our help presenting you the best GPS tools for marking your official waypoint where you enjoy in fishing. One of the most popular handheld fishing GPS devices comes with a rugged structure while it maintains a long battery life and easy paperless geocaching, with the support for spine mounting. The 2.2 monochrome display ensures proper lighting while you are in the dark waiting for fish. The waterproof design provides safe operation in every possible weather condition. 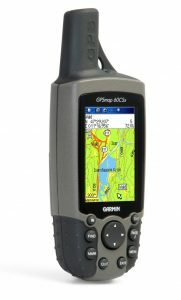 The excellent support ensures you download geocaches, by visiting OpenCaching.com but also has compatibility with the GLONASS system which works even better than GPS. 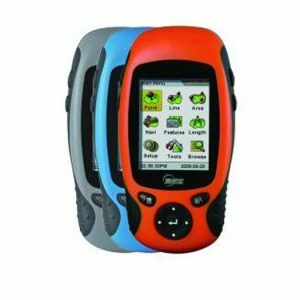 The BaseCamp feature provides easy Google Maps and Google Earth data export and renders this device as the best handheld GPS for fishing. All fishermen who are looking for a precise, reliable, budget-friendly, and weather-proof GPS device will benefit from this as it fulfills all the requirements. 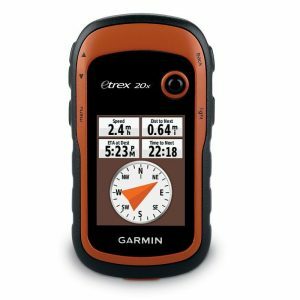 ETrex 20x is the best Garmin handheld device that aims at experienced fishermen who need additional info on their maps. The integration of GPX files supports trail tracking in Google Maps, as well as the import of 2D/3D maps via BaseCamp. When under the clear sky, the precision is around 7 feet while in case of tree coverage, the accuracy is up to 20 feet. Its compact size of 4 inches of height, 2 inches of width and 1 inch of thickness ensures it becomes a part of your standard fishing equipment and the best handheld GPS device you have ever used. This device aims at all the fishing enthusiasts who like to possess a reliable, compact, and preloaded device that offers good storage space for additional maps. Update your fishing inventory with the best handheld GPS device that offers 8GBs of internal memory for storing your favorite fishing spots! With its 2.6 color display, you will be able to see the terrain and highlights in any weather condition and level of visibility! The dual system battery requires two AA batteries that can be charged while the device is working. The best part is you can connect the device to your smartphone via Wireless technology and upload your favorite location for fishing. The connection is also supported through Bluetooth, which easily renders this device as the best Garmin handheld GPS device for fishing. In case you are looking for great storage space and long battery life (16 hours) you will be satisfied with this model. It also supports Bluetooth technology. Share your favorite fishing waypoint with the most accurate Garmin handheld GPS navigator and come back to the marked location any time you want! The 2.6 inch display offers excellent readability in direct sunlight. In addition to BirdsEye Satellite Imagery and quad-helix antenna for HQ signal reception, the high-speed USB connection offers fast data transfer. Although 1.7 GBs of internal memory might not be enough to store all your maps and fishing waypoints, you can insert a micro SD card and add topographic, nautical, or other maps. Additionally, you can opt for more expensive versions that offer 3.5 GBs of storage, alongside with camera functionality. To make things better, the 12 foot precision ensures you don’t miss your favorite spot once you mark it. 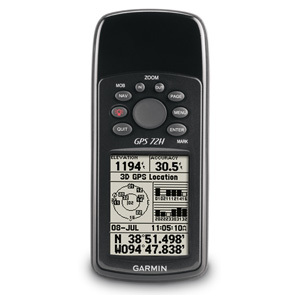 Considering all these, no wonder it is listed among the best handheld GPS tools of all time. Garmin’s GPSMAP 62S is the best choice for your fishing trip when you need a reliable signal and a decent camera to take photos of your surroundings. 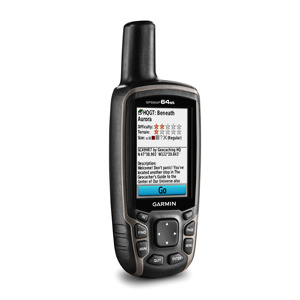 Fishing trips can be improved by using the Garmin handheld Oregon 450t Navigato. The 3-inch touchscreen display with enhanced clarity in direct sunlight announces this is the best value handheld GPS. The display presents data from the barometric altimeter, e-compass, and the 3D map views to get to know your fishing location better. The great level of customization offers to personalize the appearance. 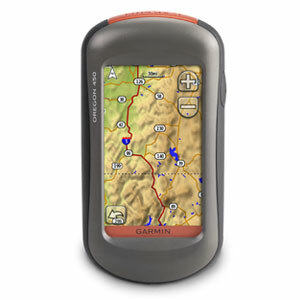 It comes with preloaded U.S. Topo 100K maps and the ability to share your routes with other Garmin devices wirelessly. It hosts support for Twitter and Facebook so you can share your fishing experience with your social network friends. Under the dense-high-top-trees or under the clear sky, the HotFix receiver will collect accurate location from the satellites. All fishermen should go for this device if they are looking for preloaded maps, customization, support to social networks, and improved signal reception. 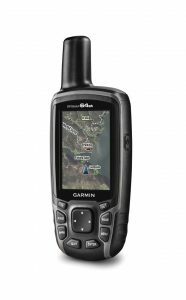 In case your fishing adventure involves standing in the water or even diving, the Garmin 72H is the best waterproof handheld GPS you will find. Besides being waterproof, the device will float in water while offering you 18h of continuous work. It comes with an implemented hunting/fishing calendar and a sunrise/sunset timetable, which is a cool feature for fishing. The GPS signal is available even when you are in the thick forest, and you have no clear sky, thanks to the super-sensitive GPS receiver. The grayscale 120 x 160-pixel display ensures you clear and accurate readings while commands are performed through nine buttons above the display. The wrist strap enables you to fix it to your belt, without being afraid it will stop working in case it splashes into the water. This is your primary choice in case you are going to be in deep water. The IPX7 ensures your device can float in water and prevent the water damage. 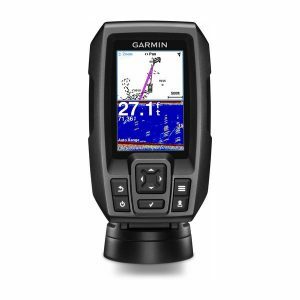 Your fishing adventure might be more sophisticated with this top rated handheld GPS Garmin Oregon 700! This handheld GPS comes with a 3-inch touchscreen display that features a landscape and portrait view (Dual Orientation). With the 3-axis electronic compass, you can be sure you are going in the right direction of your fishing spot. Besides, you can check your altitude, as well as the speed, using the accelerometer and barometric altimeter sensors. As it’s an outdoor device, you can be sure nothing will happen to it in case it falls out of your pocket. The IPX7 rating ensures water repellency and protection against dirt and impact. You have the ability to switch different profiles, ranging from climb, hike, hunt, fish, or a few others. Another cool feature is Connect IQ that lets you connect the device with other widgets and apps for further convenience. The perfect choice for fishing trips where you need strong signal coverage, waterproof design, and different activity profiles. 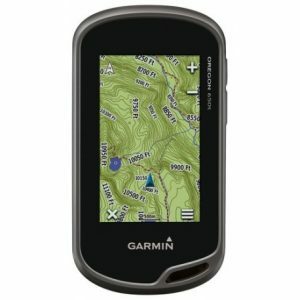 Garmin GPSMAP 64 Worldwide offers professional GPS tracking and tools that are essential for outdoor trips. 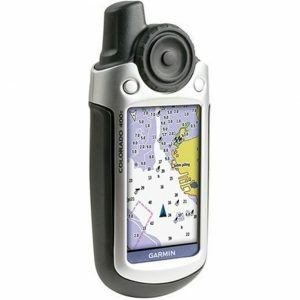 This model is often regarded as the best handheld GPS for marine use and comes in a few versions, but all come with 4GBs of internal memory. The sunlight-readable 2.6 color display offers readings on heart rate, temperature, cadence/acceleration, and provides the option for VIRB camera control. The dual battery system ensures 16h of constant work, while the device comes with the 250,000 preloaded caches from geocaching.com. Your fishing activity might be shared live with Live Track, as well as converted into a data sheet via the Garmin Connect feature. 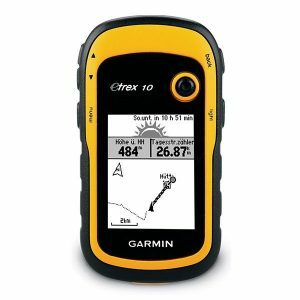 No need to enter coordinates manually the next time you want to visit an old fishing spot with this best handheld GPS 2019 device. GPSMAP 64 ensures you can count on reliable satellite coverage, excellent battery life, and the ability to see the map in 2D or 3D view. Also, it is lightweight and will not take much space. A good handheld GPS device is followed by the 3-inch touch screen that offers multi-touch capability and the ability to read during any sunlight conditions. As this is a handheld GPS for marine use, count on GLONASS satellite support to keep track of your direction, speed and temperature of the environment with the sensors. Modern connectivity enables you to share your routes, geocaches, custom maps, and waypoints via Bluetooth and Wireless connection. The dual battery system extends your fishing adventure on many hours of continual work. You also have the opportunity to take a picture of your catch using an 8MP autofocus camera with LED flash and digital zoom. The GLONASS support, 8MP camera and fast USB charging time. Perfect for the small fishing trips! Would you like to mark an accurate point of your favorite fishing pond even though you don’t have a clear sky above? 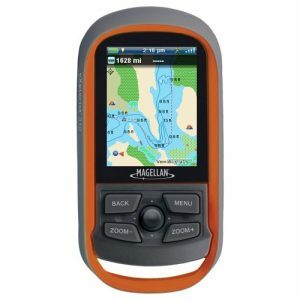 If so, rely on this good handheld GPS for fishing with a highly sensitive GPS receiver and color 2.6 inch TFT display. The 64MB microSD card for storing additional maps will be just fine to know your fishing spots. The fast USB connectivity lets you upload maps and charts and also features autopilot before you start riding your boat to your favorite fishing location. The battery life extends to a super-long-lasting 30 hours of constant work. 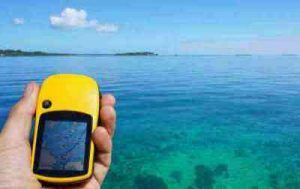 The best handheld marine GPS has a sturdy shell and IEC 60529 IPX7 designation gives it the ability to float in water for 30 minutes at one meter of depth. Offers a marine point database and automatic tracking to ensure you know your route the next time. A long-lasting battery offers reliable work under any possible conditions you could face. Share your route with other fishermen so they could follow you! 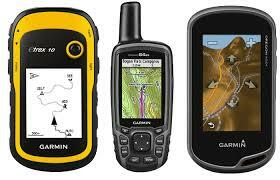 Welcome to QA section where you will be able to learn more about handheld GPS devices for fishing purposes. We will explain the basics and frequently asked questions for you so you understand much more of these devices. Below are the most frequent questions but feel free to contact us in case you have any additional questions and issues. 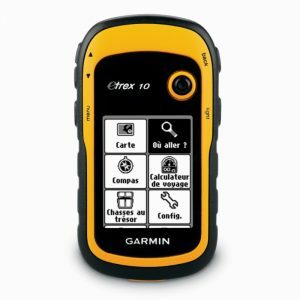 How To Use A Handheld GPS For Fishing? Why Do I Need A Handheld GPS for Fishing? Because the whole fishing operation becomes more interactive and easier. You can save time from searching for the spot you had visited. Instead, record your route, and set the route the next time you start the fishing trip. Also, update your knowledge on water depth in a certain location so you know the water. It allows many other functions which will make your fishing experience more sophisticated, precise and modern. While deciding which is the best handheld GPS for fishing, you need to think about a few things before deciding. The size of the device is crucial, as you don’t want a device that is too big for your hands that you cannot use while driving a boat to your favorite fishing location. The interface is also important as you will often be using it in different conditions. The touchscreen is innovative but sometimes can be exhausting when you have your gloves on. An electric compass also plays a great role in deciding as you want to able to orientate yourself anywhere at any time. Data transfer, preloaded maps, GLONASS support, barometer, temperature sensors, support for other maps, and connections should be considered. 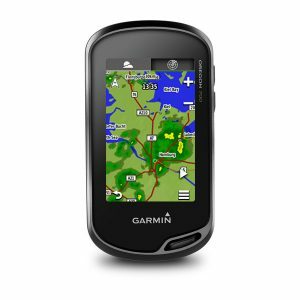 When taken all into account, we can say that Garmin eTrex10 GPS is the best choice at the moment. It offers a wide range of features that are useful to fishing fans, with extensive battery power, an excellent screen, preloaded maps, GLONASS support and waterproof design. Now your fishing trips can be recorded, re-visited and much safer.